A design consultant from San Juan Closet Works will make arrangements with you for a free consultation in your home. We work closely with you to design a storage space that is unique for your space, your specific storage needs and your individual style. We then take detailed measurements of your space. With this information, we create a 3D model of your storage space along with a detailed quote for the job. We work with you throughout the entire design process to insure that the design is exactly as you imagined. 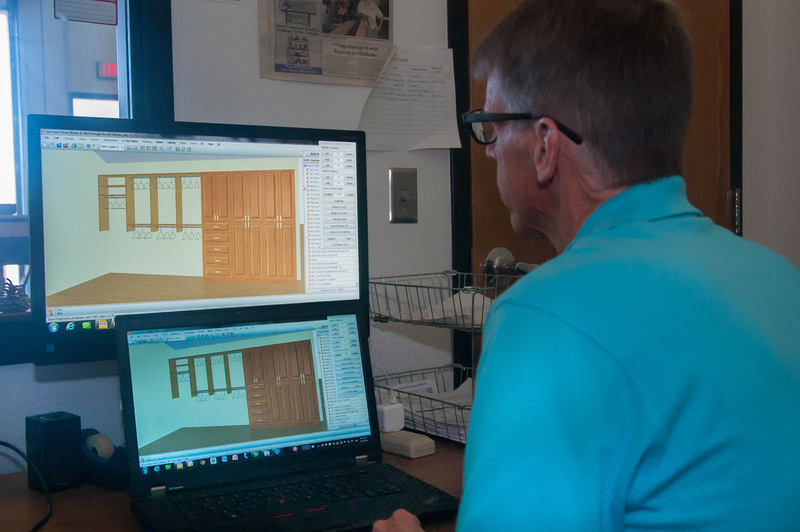 Tom designing a 3D model of your closet. Tom meets with a client to discuss her dream storage space.